Nothing better than crispy, crunchy lettuce in a chopped salad. There’s no such thing as a bad ingredient, only a bad attitude. 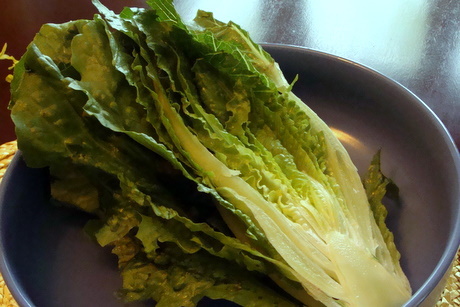 Read this New York Times Loser Lettuce story by Mark Bittman. 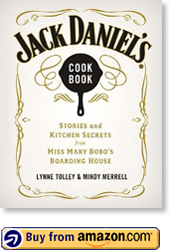 I hope it makes you think twice about branding an ingredient as cool or not cool. Isn’t that a little too junior high? Food professional Mark Bittman turns out to be a trend follower, not a leader, after all. He confesses to having snubbed iceberg and romaine lettuces for almost the last 20 years. Now he’s rediscovered their cool crunch–something you just can’t get in a bag of limp baby weeds. Doesn’t the nerdy kid always turn out to be cool 20 years later? No, we probably won’t make Mark’s lettuce soup. We’re too busy enjoying icy cold, crisp chopped salads, wedges, Caesars, Cobbs, Greek, and antipasto. You can’t beat iceberg in tacos or tossed with oregano vinaigrette on an Italian grinder. Baby spinach just won’t do. 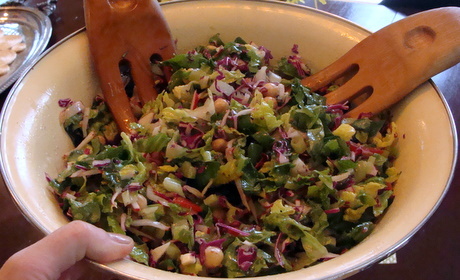 Here’s a chopped salad we made recently. This one loaded down with lowly ingredients–even boring, beautiful celery. Nothing like the crunch of iceberg, red cabbage, celery, and radishes. 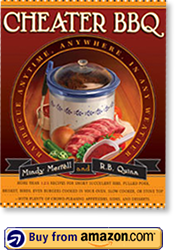 So how often do you think you’ll use that stove top smoker?